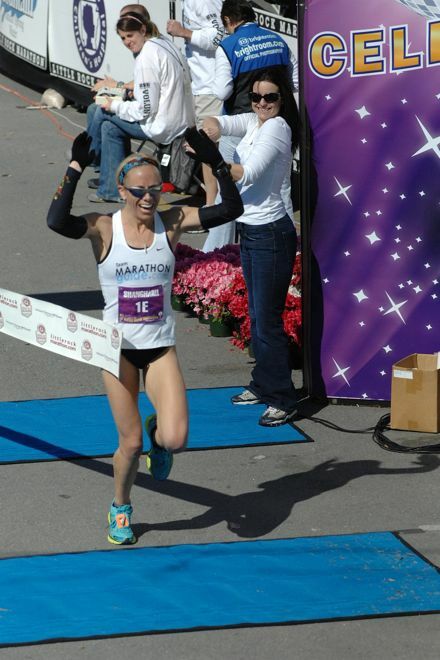 Tag Archive | "james bresette"
Arkansas native Leah Thorvilson easily won the 2012 Little Rock Marathon on Sunday over her female competition with a time of 2:37:26. Her time was 10 minutes ahead of the second female to finish, Hellen Rotich (2:47:46). Third place female went to Heather McWhirter (2:54:14). Thorvilson’s time was fast enough to place her 4th overall and just 8 minutes behind overall winner Mark Chepses. Chepses won with a time of 2:29:42. 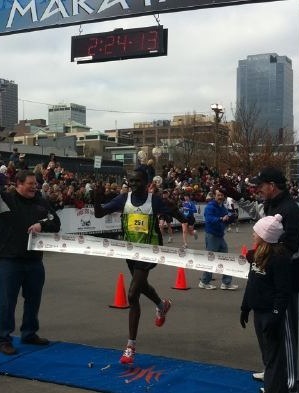 Second place went to Julius Kosgei (2:32:15) and third went to Zach Nyambaso (2:34:47). The finish was a personal record for Thorvilson who ran the Olympic Marathon Qualifying Trials last month in Houston. Thorvilson is Run It Fast – Club member #34 (Join Run It Fast – The Club HERE). Congrats to Leah from the RIF family on her PR and dominating the competition at Little Rock. Way to Run It Fast!!! 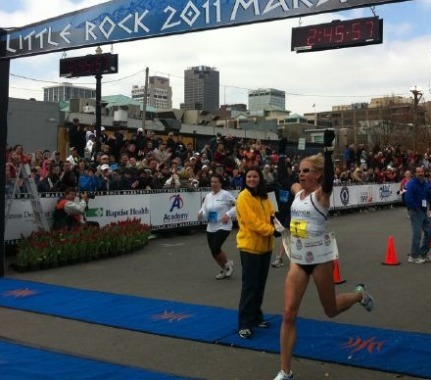 Arkansas homegirl Leah Thorvilson, who has been winning every race she has been entering of late, won the 2011 Little Rock Marathon, as the first woman across the finish line on Sunday, with a time of 2:45:51. Leah will be competing at the Olympic Trials. The overall and male winner was elite marathoner Mark Chepses with a finishing time of 2:24:07. Congrats to both Leah and Mark on their impressive wins today! More results will be posted later on today.